Q1: In most places, coral-reef gleaning is normally carried out by men. After skimming, you can realize that this statement is related to the 2nd paragraph. In the quoted sentences, it is clear that the accessibility of the reef is carried out by women, not men. For that reason, the answer is FALSE. Q2: Involvement in coral-reef-based occupations raises the status of women. Following the flow of information in Q1, you can easily find out the needed information for Q2. It is said that coral-reef-based occupations increase women’s independence and the importance of their role. Thus, we can figure out that these occupations raise the status of women. And then, TRUE is the answer. Q3: Coral reefs provide valuable learning opportunities for young children. Continuing to scan the 2nd paragraph, you can find out phrases related to this statement. Based on keyword ‘children’, it is apparent in the needed information that coral reefs provide a place for children to acquire important skills and knowledge. In other words, it provides valuable learning opportunities for children. Hence, there is no doubt that the answer is TRUE. Q4: The women of Ulithi Atoll have some control over how fish catches are shared out. Based on the keyword ‘Ulithi Atoll’, we can locate the needed information in paragraph 3. According to it, women have a distinct role and rights in the distribution of fish catches. In other words, they have some control over the distribution of fish catches. This kind of figuration will be much viable if you can recognize synonyms of keywords. Therefore, TRUE is the answer. Q5: Boats for use by the inhabitants of Ulithi are constructed on Yap Island. Along with the flow of information related to Ulithi, you can find out evidence for Q5. In order to be compatible with the statement, the above sentence can be rewritten that canoes for the use by the inhabitants of Ulithi which are obtained through the exchange of cloth are made from mahogany logs from nearby Yap island. Accordingly, it is obviously that there is no evidence supporting the idea that boats or canoes are constructed on Yap Island, but it is just made from mahogany logs from nearby Yap Island. Thus, the information in the statement is NOT GIVEN. Q6: In coral reef fisheries, only male traders can apply for finance. After scanning paragraph 3, you can also realize needed information for this question based on the keyword ‘reef fisheries’. According to that, reef fisheries support the involvement of local women traders, not just men traders. From that point, we can figure out that the statement is FALSE. 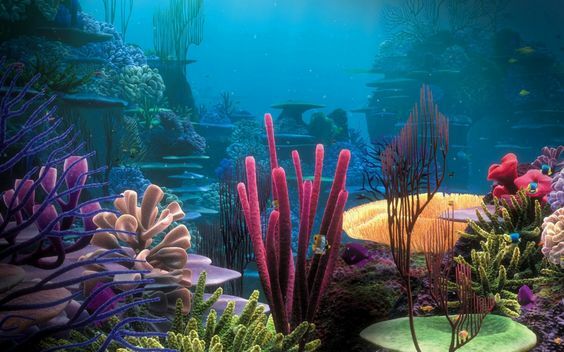 Q7: Coral reefs provide a less constant source of income than near-shore seas. After scanning, you can notice information related to keywords ‘less constant’ and ‘near-shore seas’. It is said in the paragraph that the diversity, physical accessibility and protection of coral reef fisheries make them relatively stable compared with other fisheries. From that point, we can figure out that they provide a constant source of income than other fisheries or near-shore seas. Therefore, FALSE is the answer. With this kind of task, you are highly recommended to locate paragraphs in the passage where there are many similar words to keywords in the task. Your remaining duty is just finding out the suitable words to fill in the gap. As a result, the needed information is in 4 last paragraphs. the reef may even act as a resource bank… In Manus, Papua New Guinea, giant clams are collected and held in walled enclosures on the reef, until they are needed during periods of rough weather. In Palau, sea cucumbers are seldom eaten during good weather in an effort to conserve their populations for months during which rough weather prohibits good fishing. In 5th paragraph, we can find out needed information based on keyword ‘a resource bank’. Accordingly, the writers gave examples to illustrate the idea the reef may act as a resource bank. The first example which is from Manus, Papua New Guinea indicated the storage of giant clams for periods of rough weather. The remaining example, undoubtedly, is the conservation of sea cucumbers for months during which rough weather prohibits good fishing. From that point, we can figure out that the blank should be filled with ‘sea cucumbers’. a seasonal back-up, when ________ products are insufficient, e.g. in northern Mozambique. For example, in coastal communities in northern Mozambique, reef harvests provide key sources of food and cash when agricultural production is low, with the peak in fisheries production coinciding with the period of lowest agricultural stocks. Continuing to study what coral reef can provide, we should follow the information along with Q9. Based on the keyword ‘northern Mozambique’, we can recognize the information stated that reef harvests provide key source of food and cash when agricultural production is low or insufficient. Therefore, we figure out that the blank should be filled with ‘agricultural’. Q10: a tourist attraction, e.g. ________ tours in the Caribbean. Based on the keyword ‘Caribbean’, we can find out the needed information in paragraph 7. As an example, accordingly, tours based on scuba-diving in the Caribbean have attracted 20 million people in one year. Hence, suitable words for the blank must be ‘scuba-diving’ (a adjective). We can easily find out the benefits for local people in paragraph 7. Following improvements to roads, accordingly, another benefit associated with the expansion of tourism is communications. Thus, ‘communications’ fits the blank well. There is growing recognition that sustainability is a key requirement, as encompassed in small-scale eco-tourism activities, for instance. Based on the first important considerations, we can locate the second one following the flow of information in paragraph 7. It is said that there is growing recognition that sustainability is a key requirement. From that point, the second consideration must be the need for sustainability. Therefore, the answer is ‘sustainability’. Q13: Poorly-planned development can create _______ with local fishers. The blank needs a noun. We can easily find out the needed information in the last paragraph. According to that, because tourist development has not been carefully planned, conflict has sometimes arisen between tourism and local fishers. Hence, we can conclude that poorly-planned development can create conflict with local fishers. Look for synonyms and similar ideas between the headings and sentences. Is the paragraph saying the same thing, but in a different way? Remember that seeing synonyms or even the same words in the paragraph and the heading DOES NOT mean that this heading is the right one. Always check that the meaning fits. If you’ve used the technique and still aren’t sure of an answer, move on to the next question. When you’ve answered a few more questions and used more of the headings, you can come back to questions you haven’t answered. After scanning the first paragraph, we can figure out the topic sentence as it was emphasized and followed by example. Then, we pay attention to the content in above sentence to find out the suitable heading. Accordingly, the phrase ‘have to’ implied the need. The mentioned example also gave information about conceptual changes. Therefore, the most viable heading must be v.
The whole paragraph indicates the problem of traditional instruction. Because teachers just tell student concepts that modern scientists think, students fail to use the concept represented by the formula when they explain observed events. As reflecting on the list of headings, the possible heading is ii since it illustrates the problem of superficial understanding or understanding concepts that modern scientists think. For that reason, we conclude that ii is the suitable heading. Paragraph C begins with Piaget’s hypothesis the process of cognitive change in children. Then, the rest paragraph demonstrates his hypothesis or claim. The main idea can be rewritten in this way: if pupils need to be actively engaged in solving problems challenge their current mode of reasoning, they can progress in their thinking. In other words, those problems occur when there is considerable contradiction between their current mode of reasoning and mentioned situations. As considering list of headings, from that point, we can conclude that the appropriate heading for paragraph C must be vi. We can realize that paragraph D continues illustrating Piaget’s hypothesis. The educational approach of ‘discovery learning’ was at first with the participation of pupils and their children, but they supposed that peers might play an important role in this process. From this point and based on keywords, you may figure out 3 viable headings, i, vii and ix. On considering, you must be aware that there was no experiment conducted and they also did not mention evidence for any delayed benefits in this paragraph. Therefore, the correct answer should be i. Based on the information you have acquired in paragraph E, you must be considering heading iv and ix. In general, you must be aware that Howe conducted the experiment to ascertain the role of conflict in group work or to verify for their widely held theory about cognitive change that the children would work out their new conceptions during their group discussions. However, this progress unexpectedly occurred only in a second test given four weeks after the group work. For that reason, the widely held theory was rejected due to the result of this experiment. All things considered, the most suitable heading is iv. the progress obtained through pair work could be a function of the exchange of ideas… A post-test, given to individuals, assessed the progress made by pupils in their conceptions of what influenced the path of falling objects. A small tip for you is to be based on remaining headings and keywords in the paragraph. Then, we can figure out the answer is likely to be vii. Additionally, paragraph F continues indicating another Howe’s study of the progress obtained through pair work could be a function of the exchange of ideas. And the result was as what they expected, the progress in pupils’ conceptions or the benefits of exchanging views with a partner. Hence, vii is the suitable heading for paragraph F.
Q20-21: Which TWO of these statements are attributed to Piaget by the writer of the passage? After scanning and thoroughly considering headings for each paragraph, you must feel that this kind of question is relatively easy to answer. As for answer A, it is said that the role of the teacher was to select situations that challenged the pupils’ reasoning, not explain difficult concepts. As for answer C, the writer refers to cognitive change as a progress to students’ learning, so we exclude C. As for answer E, there is no information given that children can help each other make cognitive. All things considered, the right answer must be B and D (in either order). Q22-23: Which TWO of these statements describe Howe’s experiment with 8-12-year-olds? A. The children were assessed on their ability to understand a scientific problem. B. All the children were working in mixed-ability groups. C. The children who were the most talkative made the least progress. D. The teacher helped the children to understand a scientific problem. E. The children were given a total of three tests, at different times. In one study, Howe compared the progress of 8 to 12-year-old children in understanding what influences motion down a slope … a pre-test: one in which the children had dissimilar views, and a second in which the children had similar views … a post-test immediately after the sessions of group … a second test (post-test) given around four weeks after the group work. You can find out the answers by excluding wrong answers or by proving right answers. As for answer A, as the writer indicated, the experiment was to compare the progress of students in understanding what influences motion down a slope which can be considered as a scientific problem. 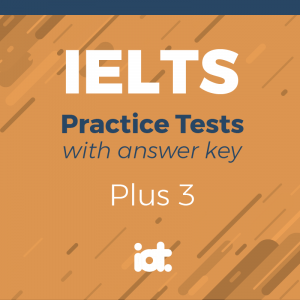 As for answer E, those students underwent three tests at different time, specifically a pre-test, a post-test immediately after the sessions of group and a second test (another post-test) given around four weeks after the group work (the first post-test). From these point, the correct options must be A and E (in either order). We can easily find out the information about how children learn in paragraph D. Based on the similar words, we can figure out that the application of the theory about how cognitive change or learning takes place gave rise to an educational approach known as ‘discovery learning’. Thus, ‘discovery learning’ is needed for the blank. Following the flow of information, we are aware that at first, two subjects that are focused on in this approach are pupils and their teacher as the one to select situations that challenged the pupil’s reasoning. Therefore, the blank must be filled with ‘teacher’. Q26: Later, researchers such as Perret-Clermont became interested in the role that interaction with ______ might also play in a pupil’s development. On continuing to studying above information, we can also detect that one new subject participating in the process of this approach is peers. Hence, ‘peers’ fits the blank well. The monumental ruins … We feel drawn to their often spectacular and haunting beauty, and also to the mysteries that they pose. The scales of the ruins testify to the former wealth and power of their builders. We can easily find out the information related to monumental ruins in 2nd paragraph. After scanning, we exclude answer A and B as they are not mentioned in the paragraph. As said, in addition, we feel drawn to their spectacular and haunting beauty, so there is no information about their romantic appeal. Furthermore, the writer supposed that ruins testify to the former wealth and power of their builders. This information is likely to mention the history of those ruins. Therefore, the suitable answer must be C.
After scanning, we can locate the needed information in 3rd paragraph. As said, discoveries made in recent decades confirm the suspicion of unintended ecological suicide. In other words, those discoveries confirm that many of mysterious abandonments were partly triggered by ecological problems. As a result, recent discoveries have identified one main cause of environmental damage. Thence, D is the answer. Q29: What does the writer say about ways in which former societies collapsed? Those past collapses tended to follow somewhat similar courses constituting variations on a theme. Based on the keyword ‘former societies collapsed’, we can find out the information in paragraph 4. Accordingly, there is no evidence given that collapse would have been foreseeable, so we exclude answer B. Moreover, it is said that past societies declined rapidly after reaching peak numbers and power, not after deteriorations (exclude C). It is also said that the course individual citizens was just used to draw analogies with the course of human society (exclude B). From these points, we can conclude that A is the answer. Q30: It is widely believed that environmental problems represent the main danger faced by the modern world. After scanning, we can find out the keyword ‘environmental problems’ in paragraph 5. Accordingly, environmental problems overshadow all the other threats to global civilisation. In other words, environmental problems are most dangerous to the modern world. For that reason, we can conclude that the answer is YES. Q31: The accumulation of poisonous substances is a relatively modern problem. Following the flow of information in Q30, we acknowledge that four new environmental problems contain build up of toxic chemicals in the environment. As ‘poisonous substances’ is the synonym of ‘toxic chemicals’, we can figure that the statement is true or YES is the answer. Q32: There is general agreement that the threats posed by environmental problems are very serious. Once you find out the needed information, continuing to study of environmental problems, it is relatively easy to give the right answer. Accordingly, the seriousness of these environmental problems is vigorously debated, so there can be general agreement about its seriousness. Therefore, the answer is NO. Q33: Some past societies resembled present-day societies more closely than others. After scanning, we can find out the information in the last paragraph. The paragraph mainly illustrates practical lessons from the past and differences between the modern societies and the past societies. However, there is no information given that some past societies resembled present-day societies, except for the differences in some respects. Thus, NOT GIVEN is the answer. Q34: We should be careful when drawing comparisons between past and present. Perhaps we can still learn from the past, but only if we think carefully about its lessons. As this statement is related to comparisons between past and present, we continue to study the last paragraph. Accordingly, if we think carefully about the past’s lessons, we can still learn from it. It is apparent that we need to compare the present with the past to learn from the past. Thus, the statement is true or the answer is YES. At first, we can exclude ending D and F. What is more, past societies just left behind monumental ruins, and then those ruins must be the evidence of the greatness of past societies. Obviously, those ruins are in form of physical structures. Hence, the suitable ending is C.
This information has been indicated in Q29. Based on the needed information, we are aware that it was writers who found it tempting to draw analogies between an individual’s life and the life of a society. Then, it is just their assumptions or attempts, so it is not necessary that there is parallel between these two lives. Thus, we can figure out that the answer is A. This information has just mentioned in Q31. Accordingly, environmental problems include the same eight of past societies plus four new ones. From that point, we recognize that the number of environmental problems that societies face is greater now than in the past. Therefore, F is the suitable ending. Based on the keyword ‘power of technology’, we can locate the needed information in the last paragraph. According to the above sentences, our powerful technology puts us not only at lower risk but at a greater risk than past societies as well. Then, it will be potentially both positive and negative. For that reason, the appropriate ending must be D.
This statement must be related to the last paragraph as it refers to lessons from the past. After finding out the needed information, we are recommended not to transfer directly simple solutions from the study of the past to our societies today. In other words, it is implied that a consideration of historical events and trends will not provide direct solutions for present problems. Therefore, the answer is E.
Q40: What is the main argument of Reading Passage 3? You must pay attention to the word ‘argument’. After scanning and analyzing the whole passage, two arguments which predominate is the seriousness of environmental problems and lessons from the past. Since the seriousness of environmental problems is just a small part contributing to the similarities and the differences between the present and the past, it must not be the main argument. Moreover, the last paragraph usually illustrates the major purpose of the writer writing this passage and every previous detail is indicated to support the main argument. Therefore, the answer must be A. Great thanks to volunteer Truong Tuyet Nhu has contributed these explanations. In many places, the reef may even act as a resource bank, used as a means of saving food for future times of need. In Manus, Papua New Guinea, giant clams are collected and held in walled enclosures on the reef, until they are needed during periods of rough weather. In Palau,sea cucumbers are seldom eaten during good weather in an effort to conserve their populations for months during which rough weather prohibits good fishing. A - The need to develop new concepts in daily life. It has been pointed out that learning mathematics and science is not so much learning facts as learning ways of thinking. It has also been emphasised that in order to learn science, people often have to change the way they think in ordinary situations. For example, in order to understand even simple concepts such as heat and temperature, ways of thinking of temperature as a measure of heat must be abandoned and a distinction between ‘temperature’ and ‘heat’ must be learned. These changes in ways of thinking are often referred to as conceptual changes. But how do conceptual changes happen? How do young people change their ways of thinking as they develop and as they learn in school? B - The problem of superficial understanding. Traditional instruction based on telling students how modern scientists think does not seem to be very successful. Students may learn the definitions, the formulae, the terminology, and yet still maintain their previous conceptions. This difficulty has been illustrated many times, for example, when instructed students are interviewed about heat and temperature. 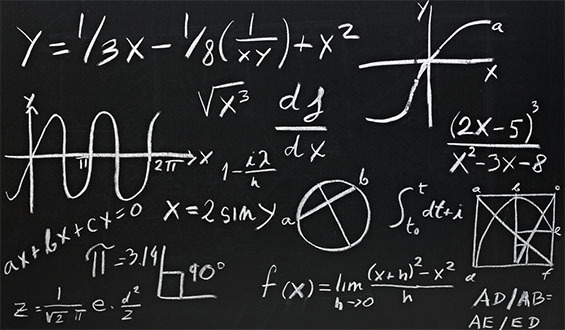 It is often identified by teachers as a difficulty in applying the concepts learned in the classroom; students may be able to repeat a formula but fail to use the concept represented by the formula when they explain observed events. C - The claim that a perceived contradiction can assist mental development. The psychologist Piaget suggested an interesting hypothesis relating to the process of cognitive change in children. Cognitive change was expected to result from the pupils’ own intellectual activity. When confronted with a result that challenges their thinking - that is, when faced with conflict - pupils realise that they need to think again about their own ways of solving problems, regardless of whether the problem is one in mathematics or in science. He hypothesised that conflict brings about disequilibrium, and then triggers equilibration processes that ultimately produce cognitive change. For this reason, according to Piaget and his colleagues, in order for pupils to progress in their thinking they need to be actively engaged in solving problems that will challenge their current mode of reasoning. However, Piaget also pointed out that young children do not always discard their ideas in the face of contradictory evidence. They may actually discard the evidence and keep their theory. D - A suggested modification to a theory about learning. 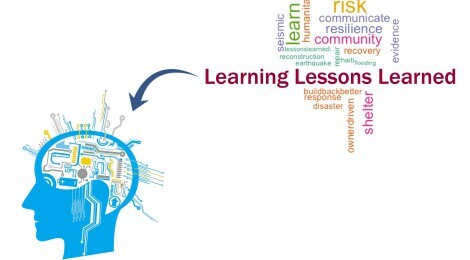 Piaget’s hypothesis about how cognitive change occurs was later translated into an educational approach which is now termed ‘discovery learning’. Discovery learning initially took what is now considered the Tone learner’ route. The role of the teacher was to select situations that challenged the pupils’ reasoning; and the pupils’ peers had no real role in this process. However, it was subsequently proposed that interpersonal conflict, especially with peers, might play an important role in promoting cognitive change. This hypothesis, originally advanced by Perret-Clermont (1980) and Doise and Mugny (1984), has been investigated in many recent studies of science teaching and learning. E - The rejection of a widely held theory. Christine Howe and her colleagues, for example, have compared children’s progress in understanding several types of science concepts when they are given the opportunity to observe relevant events. In one study, Howe compared the progress of 8 to 12-year-old children in understanding what influences motion down a slope. In order to ascertain the role of conflict in group work, they created two kinds of groups according to a pre-test: one in which the children had dissimilar views, and a second in which the children had similar views. F - An experiment to assess the benefits of exchanging views with a partner. In another study, Howe set out to investigate whether the progress obtained through pair work could be a function of the exchange of ideas. They investigated the progress made by 12-15-year-old pupils in understanding the path of falling objects, a topic that usually involves conceptual difficulties. In order to create pairs of pupils with varying levels of dissimilarity in their initial conceptions, the pupils’ predictions and explanations of the path of falling objects were assessed before they were engaged in pair work. The work sessions involved solving computer-presented problems, again about predicting and explaining the paths of falling objects. A post-test, given to individuals, assessed the progress made by pupils in their conceptions of what influenced the path of falling objects.